At National Business Training, our cyber security training courses are designed to ensure your organization is at a significantly reduced risk of an information breach and also minimizes negative impacts should a breach occur. CompTIA Security+ training from National Business Training provides an excellent introduction to the security field and is typically a better entry point than jumping right into an advanced security program. With Security+, you’ll build a solid foundation of knowledge that you can build upon—helping you advance your career in the months and years to come. 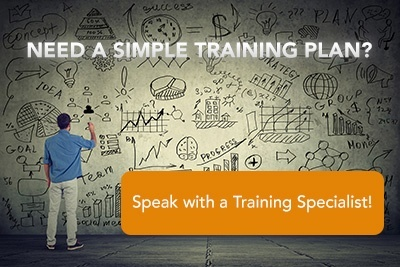 Whether your goal is to become Security+ certified for your job, to prove your basic knowledge of security concepts or to gain more knowledge to secure your network, expert training from National Business Training is the perfect solution. National Business Training is proud to be able to provide training to assist you in preparation for the CISSP Information Security Certification exam. The CISSP certification is a globally recognized information security certification governed and bestowed by the International Information Systems Security Certification Consortium, also known as (ISC)2. It was the first information security credential accredited by the international ANSI ISO/IEC Standard 17024:2003. The International Council of Electronic Commerce Consultants (EC-Council) is a long-standing professional certification organization for IT Professionals. The EC-Council’s goal is to provide support for individuals who create and maintain security and IT systems. Certified Ethical Hacker training and certification at National Business Training will help you learn to stop hackers by thinking and acting like one. The CEH training immerses students in an interactive environment where they will learn how to scan, test, hack, and secure their own systems. Students then learn how intruders escalate privileges and what steps can be taken to secure a system. In this course, students will learn EC-Council’s Licensed Penetrations Tester (LPT), a natural evolution and extended value addition to its series of security related professional certifications. Advance your Information Security knowledge and become a specialist in Penetration Testing with training from New Horizons Albany. In this course, students will analyze a wide range of information systems security subjects that are organized into 8 domains for CISSP exam certification. Gain the essential skills required to configure, maintain, and operate Cisco ASA 5500-X Series Adaptive Security Appliances based on ASA Software v9.x. Gain the knowledge and hands-on experience so that they can deploy Ciscos Next Generation Firewall (NGFW) as well as Web Security, Email Security and more. The course introduces tools and tactics to manage cybersecurity risks, identify common threats, evaluate the organization’s security, and more. In 18 comprehensive modules, the course covers 270 attack technologies, commonly used by hackers. Throughout the CEH course, you will be immersed in a hacker’s mindset, evaluating not just logical, but physical security.